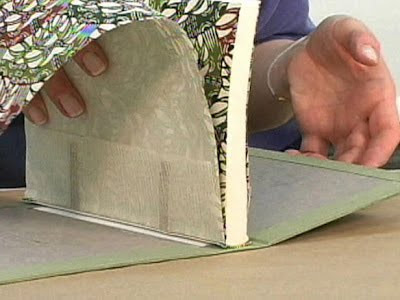 I just discovered the blog of the Center for Book Arts in New York and it is wonderful—a Monday through Friday education in the book arts through well-written and detailed posts. Here's what you'll find day by day—Monday Methods, Tuesday Typefaces, Wednesday Exhibitions, Thursday Terms, Friday Insights. This week's typeface is an interesting one: a modern, sans-serif typeface that still retains some qualities of the more old-fashioned calligraphy scripts. Lydian, designed by Warren Chappell for American Type Founders in 1938, lacks the extensions of letters at its terminals that would make it a serif face, but is also markedly different from last week's Futura, a typeface known for the equal weight of each line. Like a calligraphy text, Lydian's letters narrow around curves (and additional strokes, as in the "y") and thicken for straight lines. The dot of the "i," a small diamond, also looks just as if it came from a calligraphy pen. Lydian is also a typeface that has appeared in surprising and different ways, perhaps saying something about its versatility and elegant, yet modern, style. In the 1960s and early 1970s, actress Lucille Ball used it for the end credits in both The Lucy Show (1962-8) and Here's Lucy (1968-1974). At the same time, the International Baccalaureate Organization was using it for its document headings (if you ever took the IBs, you've seen it!) and continued to use it until 2007. Wow thank you what a great resource thank you! Have you seen the beautiful animated short film "The Fantastic Flying Books of Mr. Morris Lessmore" yet? The story, the animation, that it is set in and was made in New Orleans, that it is about the love of books, what more can I say except watch it and be prepared to fall in love with books all over again!